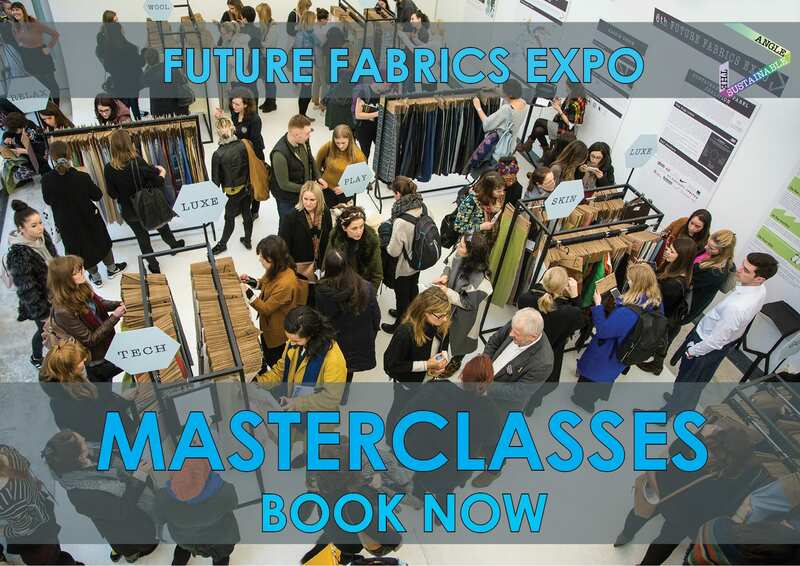 We invite you to book your place in the Masterclass to learn about the pros and cons of natural and man made fibres from a sustainable angle. Furthermore discover a diverse range of sustainable materials and resources from the Future Fabrics Expo collection. Book your place in the Masterclass to learn about wool from a sustainable angle. Furthermore, discover a diverse range of sustainable materials and resources from the Future Fabrics Expo collection. Receive our coveted sustainable sourcing guide, including list of suppliers and their contact details. Learn about Low impact leathers and Leather alternatives from a sustainable angle. Can leather be sustainable? Experience samples with chrome-free tanning, low impact tanning and leather alternatives that feel like leather but are not from animals. + More to be announced…. * Receive our coveted sustainable sourcing guide, including list of suppliers and their contact detail. * Experience a selection of over 2000+ materials and textiles with a lower environmental impact. * Get hands on with innovative materials. * Learn about sustainable practices within the fashion industry in general. * Read detailed specifications for how each material on display is uniquely sustainable.